I've kind of been struggling lately about whether or not I want to tell people about this little space of mine. Whenever I have some down time and actually let my mind wander off to wherever it wants to go, it always seems to go back to the same question, "do I want people to know?". The reason why I'm struggling so much is because I can't seem to figure out why I'm so hesitant to share. Since my obsession with reading blogs years ago, I've always wanted to start one of my own. And, in not even two short months, I've already realized that it's been a great decision and I'm so happy that I finally took the plunge. This is my place. It's a place where I can share things that are important to me, things that I find interesting, or things that I want to be able to remember in the future. It's my place, and it's a place that can be whatever I want it to be. 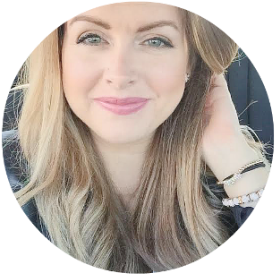 In the past couple of weeks I've also gotten a very small glimpse about what all those bloggers have been raving about for years, and that is the blogging community. It has been so amazing being able to discuss things and relate to others who you don't know (although I feel like I've known some bloggers my whole life), and who live in places you've never even heard of? Pretty, pretty cool! And I'm hoping I have only scratched the surfaced. With so many positive things, what's my problem? I guess a big part is that I'm worried about what those who know me will think. Will they think that this is silly? Will they enjoy reading? Will they think that I seem myself? Are they going to think that I think that my life is that important that I have to share it with everyone? It's ironic because each time I hit that publish button I'm welcoming anyone and everyone, but it has never made me feel as hesistant as sharing with my closest friends or family. It's kind of like public speaking, I would much rather get up in front of thousands of people I don't know, then to present in front of a few people that I do know. Think about it, how strange does that sound? 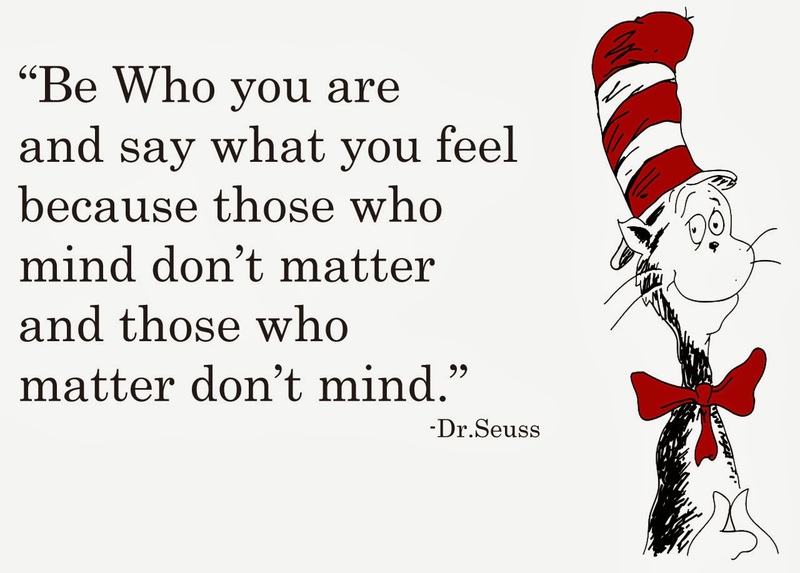 I think we all could agree that Dr. Seuss would tell me to not worry and just put myself out there. And over the last couple of years I've been really trying to practice these words more. They're oh so simple, but oh so true! It's silly, really, because the people I want to let in on this little secret, are the people I care most about in this world. I would hope that they would see my excitement and want to follow along with me. And, if nothing else, just not mock me when I want to take a gazillion pictures of what I ate for dinner so I can have some material for my weekly recaps!! And in case anyone has that negative comment above whirling around in their head, the truth is that yes, I do think that my life is that important..... to me, and I never, ever want to feel like it's not, or to stop striving to make it any more important. Pheww, now that I got all of that out today I feel like I'm ready to tackle the world (in baby steps, of course).